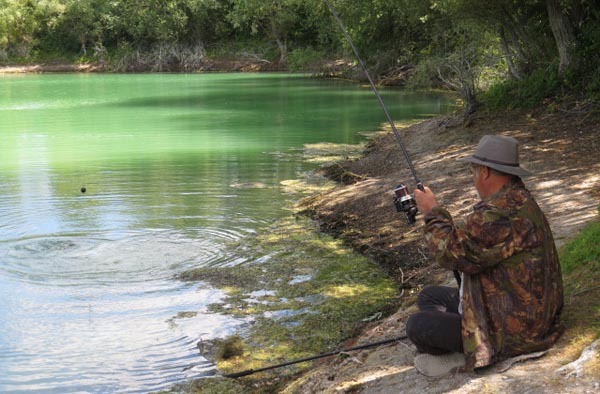 I thought I’d do a blog piece to give some advice to first time anglers to our Carp fishing in France venue or to those who found their tackle wanting last time out. It is worth bearing in mind that there are some very big fish in these lakes, the catfish being the species that will test your gear most. Generally all but the largest fish can be handled on a decent carp rod, and a good quality big pit style reel. But you can do a number of things to improve your chances by tweaking your set up a bit. By this I pretty much mean ‘Up rating’. While standard gear will handle the smaller carp say to mid thirties, even in the weed, the larger fish which run to nearly 60lb can prove too much on occasion. This leaves it very open to abrasion damage, especially in a gravel pit environment like the Croix Blanche Lakes. I saw too many guys getting cut off or broken due to inadequate line. However a good line will see you land the vast majority of fish. I would suggest a good nylon of 0.40mm or 0.45mm diameter. NOTE that here I’m going to talk in diameters here as I feel it’s far more relevant than breaking strain which is, in most cases vastly inaccurate on most brands of monofilament. Hooklink material: Due to the presence of large catfish in the lakes I’d highly recommend a very abrasion resistant hooklink material. A dyneema braid or a good fluorocarbon would be my choices and of a sufficient diameter to land he fish. I tend to go for a 0.45 braid, but brands like Kryston Quicksliver are decent lines. Hooks: It goes without saying that a good strong hook pattern is essential. It needs to be a strong forged steel model and personally I would not go below a size 4. But if I’m expecting cats ie: fishing halibuts or fishmeals I’ll go as large as a 2/0. I don’t actually believe a large hook cases any more damage than a small one on the contrary small hooks can tear out far more easily casing nasty rips in the mouth flesh. 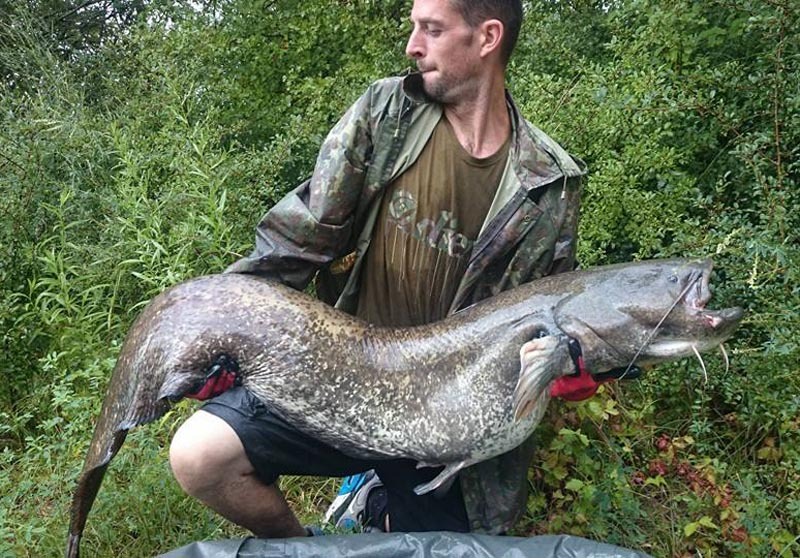 Tackling up for Croix Blanche Lakes catfish has been more and more popular and with the large fish now over 131 pounds it is worth thinking about beefier rods. I have a set of 10ft 6lb test cat rods and they offer chance for landing a big cat than a standard carp rod. Another option is to use a spod rod. I’ve landed fish to over 50lb on such rods and they allow you far more control over the fish. A final word on the catfish… BE Patient!! They will pull very hard and make it hard for anglers who have not experienced the species. Most either pull too hard or not hard enough. Judging the right amount of pressure is the key. If the fish goes to ground or buries itself in the weed, it is worth putting the rods back on the pod and waiting. It will, on most occasions move off again. Handing from the boat can also be a good way of freeing a fish or getting is moving again. Caution is need in a boat with a 12 or 13 foot rod as a powerful fish can easily take the angler by surprise and pull the rod round past its test curve with disastrous results.